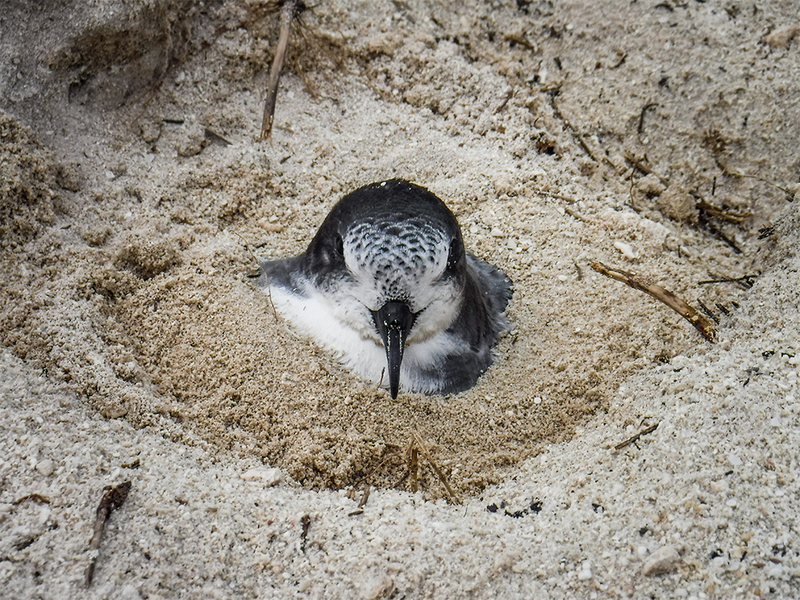 A project to remove invasive rats from Midway Atoll in 1995 left the island to flourish, but invasive mice continue to threaten native seabirds. Midway Atoll National Wildlife Refuge and Battle of Midway National Memorial is a place of immense ongoing conservation and restoration work. Millions of seabirds depend on the atoll as place to breed and nest. Island habitats like Midway are complex and delicate ecological systems and vital for the Hawaiian seabird populations. Invasive species threaten these unique native habitats and wildlife. The impacts from introduced invasive species like rodents carry huge ecological consequences for native habitats and seabird colonies. As people started to explore and visit the Pacific Islands, so began the expansion of invasive species. Rats had many opportunities to make their journey to several Pacific Islands. Whether hitchhiking with the first Polynesian explorers, guano traders, or military vessels, rats have opportunistically used humans to find their way to the islands. Rats are omnivorous. They will eat whatever is available to them from bird eggs and insects to plants and seeds. They are able to survive in almost all habitat types and rapidly reproduce. 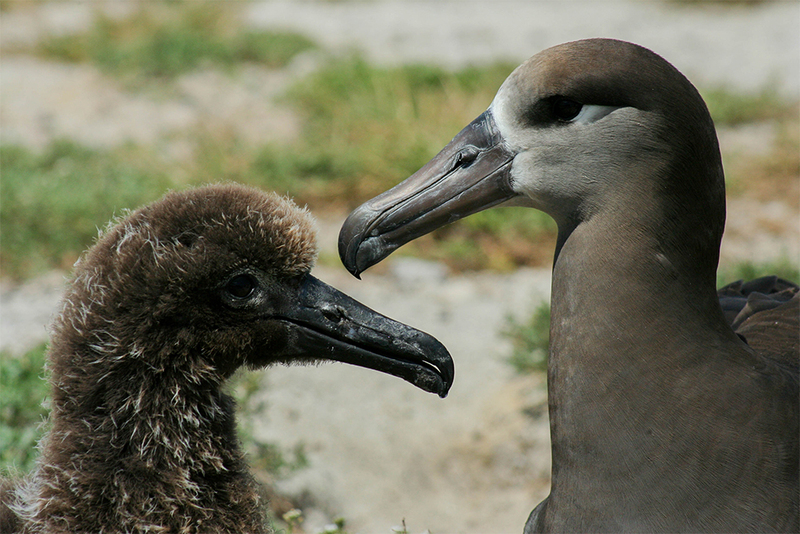 With no native predators in Hawai’i and the Pacific Islands, nesting seabirds have lost behavioral adaptations to defend themselves against predators. Introduced rats are one of the biggest threats to native species on islands. Bonin Petrels are especially susceptible to rodents. These petrels lay a single egg in burrows underground. Prior to 1943, Midway Atoll’s Bonin Petrel population was estimated at over 500,000 individuals. After the unintended introduction of rats, their population plummeted to less than 5000 by the 1980’s. Recognizing the wide range of impacts posed by rats, the U.S. Navy funded a rat eradication project in 1995.The U.S. Fish and Wildlife Service (USFWS) worked with the Department of Agriculture (APHIS-Wildlife Services) to eradicate rats. The project was a success and Midway was declared rat-free in 1996. In the absence of rats, some of Midway’s smaller inhabitants and plants began to flourish. Today, Bonin Petrel populations are numerous and have rebounded since rats were eradicated. Midway’s Eastern Island now as compared to the early 1990s is a landscape covered with wildlife. However, the lasting effects go beyond only wildlife. Native plants are essential for an ecosystem to recover. Rats consume plants and seeds, especially succulent native plants commonly found on islands. They can reduce the diversity of plant life. Rats help invasive plants spread and establish into areas once occupied by native plants. Plants like the native Naupaka, Hawai’i’s most common beach plant, were eaten into submission. However, with rats gone and a successful restoration program, the Naupaka is healthy and prevalent once again on Midway. Along with the Black Rat, Midway also saw the introduction of the House Mouse. Just as with their larger cousin, mice have adapted to this unique ecological niche on Midway. In 2015/2016 albatross surveys, researchers found a growing presence of mice on the island. 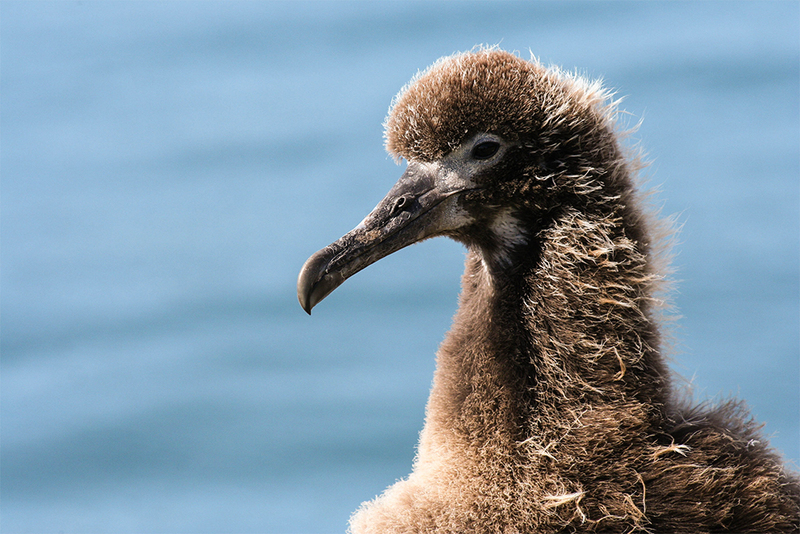 More concerning, staff and volunteers have found evidence of mice predating on albatross. The Service continues to observe and monitor groups of albatross throughout the island to gain a further understanding of the mice. Seabirds face many challenges – invasive species, marine debris, loss of natural habitats, avian malaria. As a refuge and habitat, Midway’s importance spans more than the potential life contained to its shores. The island directly contributes to the overall existence of many seabirds to include over 19 species of birds. Midway is a place of immense historically significance and cultural meaning, and is also a home and refuge for native plants, countless seabirds, and wildlife.